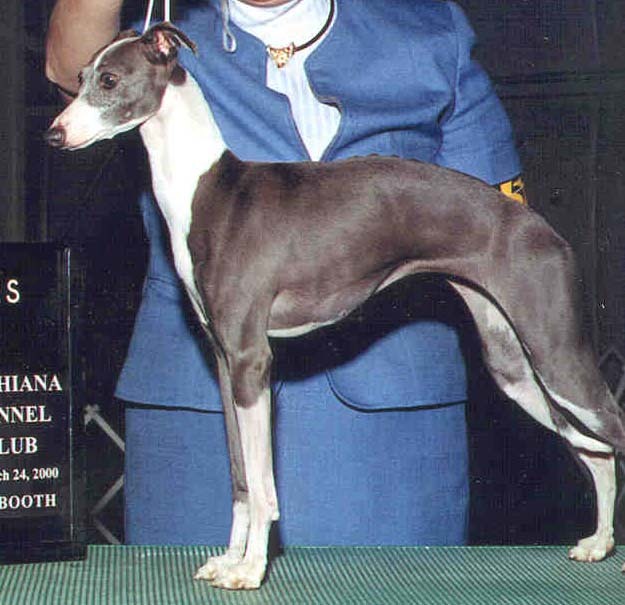 The Italian Greyhound's sleek beauty, graceful movement and loving temperament have made me an admirer of the breed for over 17 years. I find competing in the confirmation ring with my Italians very rewarding and fun. 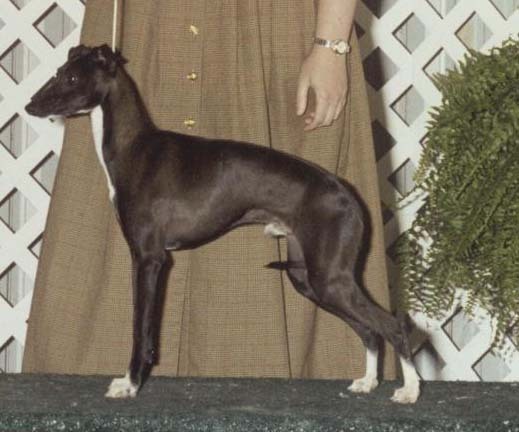 Over the years in very limited breeding, I have had the pleasure of producing Multi champion Group Placers, Futurity Winner, BOS National Sweepstake Winner, National Specialty Reserve winner and Group Winner. My Italians live in the house with me as part of the family, not in kennels. They are first and foremost my companions, bed warmers and every now and then show dogs. The decision to add a dog to the family can be very rewarding if done correctly. Before making your final decision, educate yourself on the breed by reading books, visiting dog shows and talking to breeders and owners. Dog ownership is a big responsibility that lasts for the life of the dog, it demands time, hard work, emotion and money to be a responsible dog owner. Make it be a labor of love. Hope you enjoy viewing some of our champions!